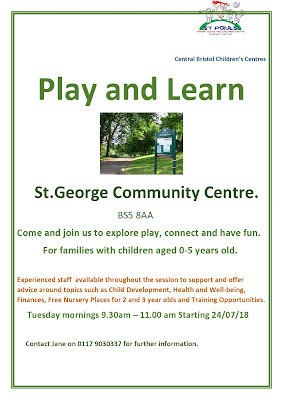 St George Community Centre: Stay and Play Relaunch Tuesday 24th July 9.30am-11am. 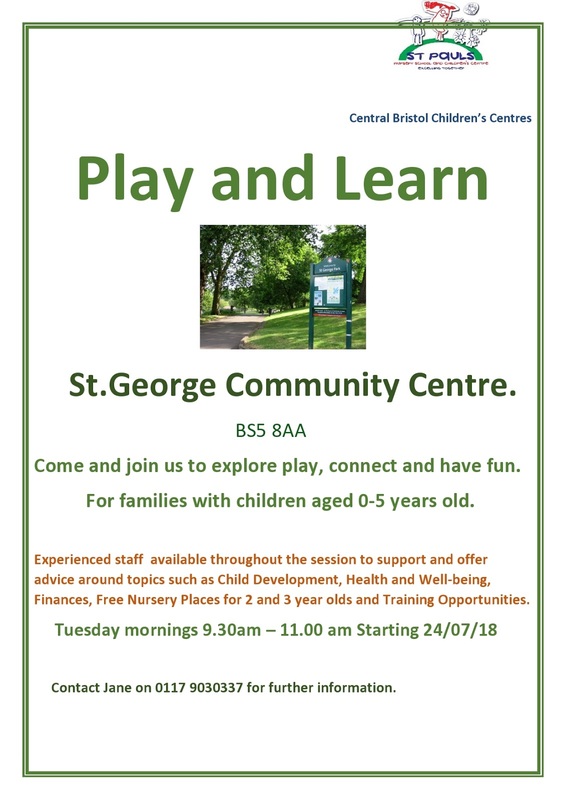 Stay and Play Relaunch Tuesday 24th July 9.30am-11am. We are really excited to announce that Central Bristol Children's Centre will be relaunching Stay and Play from Tuesday 24th July at the centre. The group is for ages 0-5 and will be running all year round.